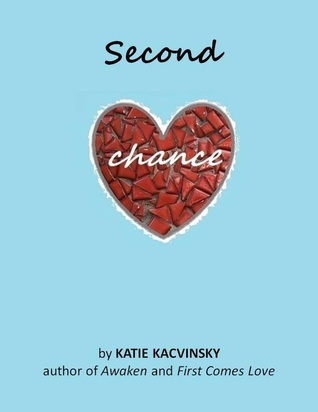 Welcome to our stop on the Second Chance Blog tour! Today we will be sharing our review for First Comes Love- the first book in this series! Make sure to check out the bottom of the post for a giveaway! What starts as friendship, turns into admiration, respect and caring, until finally these two lone souls find they are truly in love with each other. But staying in love is not as easy as falling in love. If Dylan and Gray want their love to last, they're going to have to work at it. And learn that sometimes love means having to say you're sorry. This book was pretty awesome! I wanted to read it when it first came out, but I didn't get an opportunity until I was asked to hop on this tour- I am so glad I did! I loved reading about the relationship between Dylan and Gray. The way that the author writes is so incredibly believable and realistic. This is not an ideal couple- they both come into their relationship with heavy baggage. As much as this story was about both characters and was told in a dual narrative- the story really focused about Gray and his healing from a very painful and traumatic experience in his life. Dylan becomes a catalyst for that healing and teaches Gray how to become a functioning person again. I didn't expect the story to end the way it did- and I am so glad that Second Chance has been written to continue the story of these two characters. Dylan and Gray feel human, they feel real, and I as a reader I really care about what happens to them. If you are a fan of contemporary romance or even a simply fantastic story- you need to get your hands on this series! Glad you enjoyed First Comes Love!!! I just adored it. Cannot wait to read book 2.